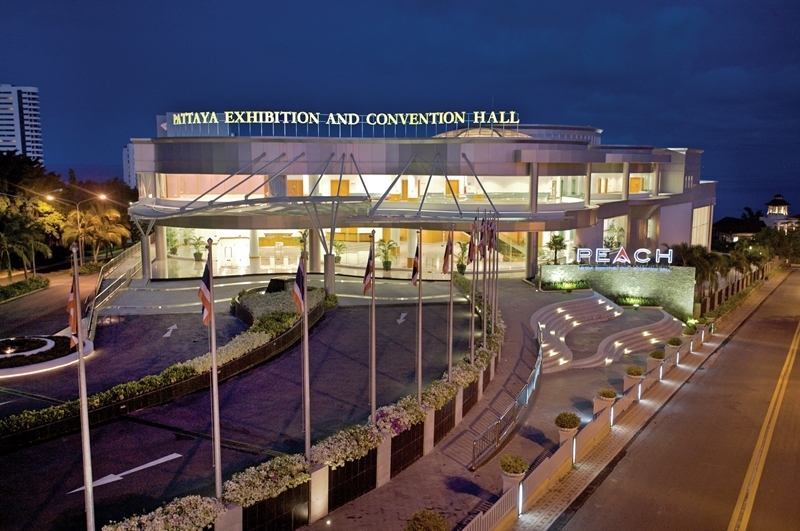 PEACH, a prominent flagship of the Royal Cliff Hotels Group, is one of the largest convention venues outside of Bangkok. It is a world-class multipurpose award-winning convention facility that provides complete versatility as a convenient 'one-stop convention solution' for any meeting needs. For a truly remarkable and memorable event experience, PEACH offers an ideal location, modern facilities and professional services to host a wide variety of engagements, ranging from international conferences to grand wedding celebrations, product launches and banquets. 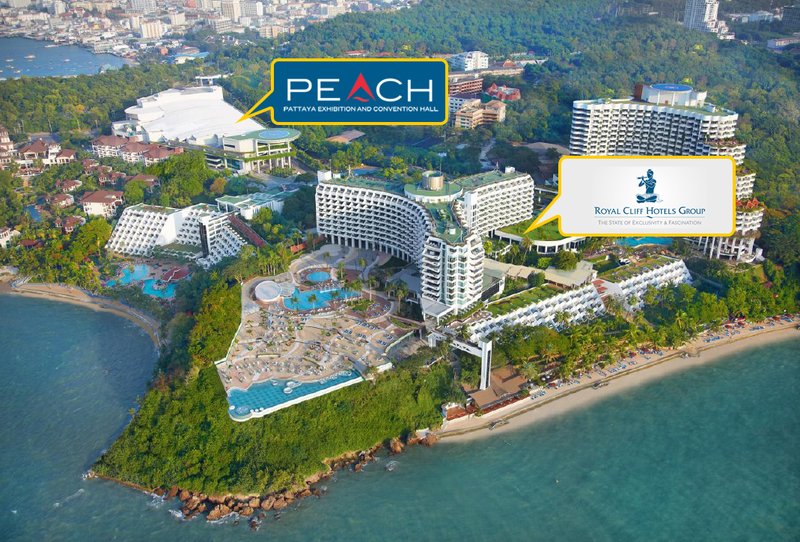 Boasting spectacular views of the Gulf of Thailand, PEACH is situated in an idyllic and stunning location. Possessing state-of-the-art technology coupled with a deluxe interior design, it is one of Thailand's most sophisticated and versatile convention venues that offer lots of flexible meeting space and vast multi-purpose halls. With four 5-star hotels in the vicinity and only a few minutes walking distance to sandy beaches and award-winning restaurants, this full-service event facility is a meeting, convention, trade show and exhibition paradise. PEACH is located along the slopes of the cliff between Jomtien and Pattaya, set conveniently close to some excellent golf courses and shopping complexes. Occupying 10 acres of land, it is situated at a great location, approximately 75 minutes from Bangkok Suvarnabhumi International Airport. With over 17 years of specialized events experience, top of the line services and a dedicated international team, PEACH enjoys a global reputation of excellence making it a premier meeting and event destination in Southeast Asia! 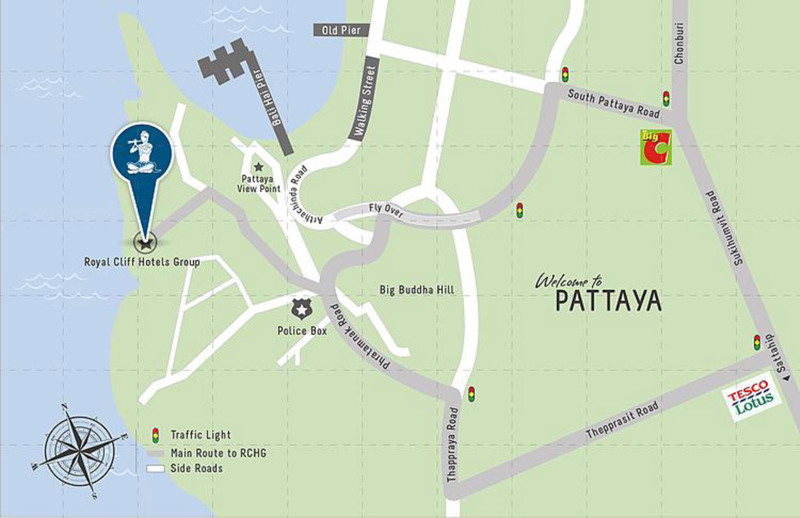 Pattaya is the closest city to Thailand's major international gateway - Bangkok. Easy to get to with modern and efficient highways and motorways, the transfer time between the two cities is only two hours. Meanwhile, it takes just 75 minutes from International Suvarnabhumi Airport to reach the resort city and you do not have to drive through Bangkok. 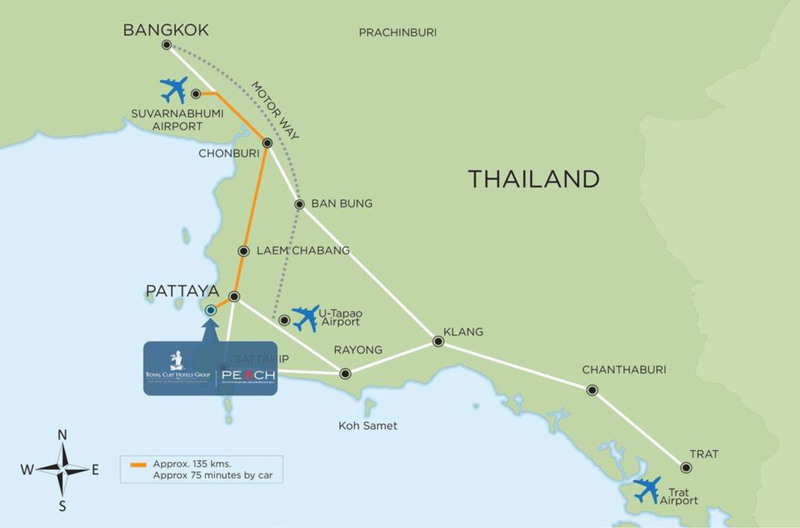 In addition, U-tapao Pattaya International Airport is only 40 minutes drive from PEACH and this airport will go through major renovations and upgrade soon. The new and improved U-Tapao Pattaya International Airport will accommodate 1,500 passengers an hour.